A type of stitch that passes into each layer of a quilt. 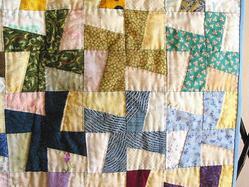 Close-up of a hand-stitched quilt. 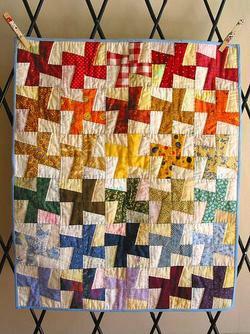 A quilt made from hand-stitching.